that have produced some of the great rappers of today, Boston is rarely in that discussion. Atlanta, New York, Los Angeles, and Chicago have produced more well known talent than the City of Champions but that doesn’t mean there is hidden talent. If you live in or around Boston, you’ve probably heard of these following rappers but if you haven’t, I’d suggest you go check them out immediately. They could change your mind about the Boston rap scene. So obviously the first name that comes out when you think of Boston rappers is Cousin Stizz, a man who is single handedly changing the game here in Boston. Stizz is for all accounts a legend around Boston and those who have dug deep into his collection know how great his music is. Suffolk County and Monda are two classic pieces of work from Stizz’s library. Talk ft. Jefe Replay, Fresh Prince, Gain Green,500 Horses,and Living Like Khaled. Living Like Khaled was such a hit that it is featured on NBA 2K18 and those are just a few of the amazing songs from both albums. Monda really helped Stizz catapult into the stratosphere and it caught the attention of some of the biggest names in hip hop today. Stizz just dropped a mixtape called One Night Only and on it is one of Stizz’s best songs, Headlock ft. Offset is an absolute banger of a song. Lambo and Switch Places are also a few other hits from the tape that are worth having a listen to. 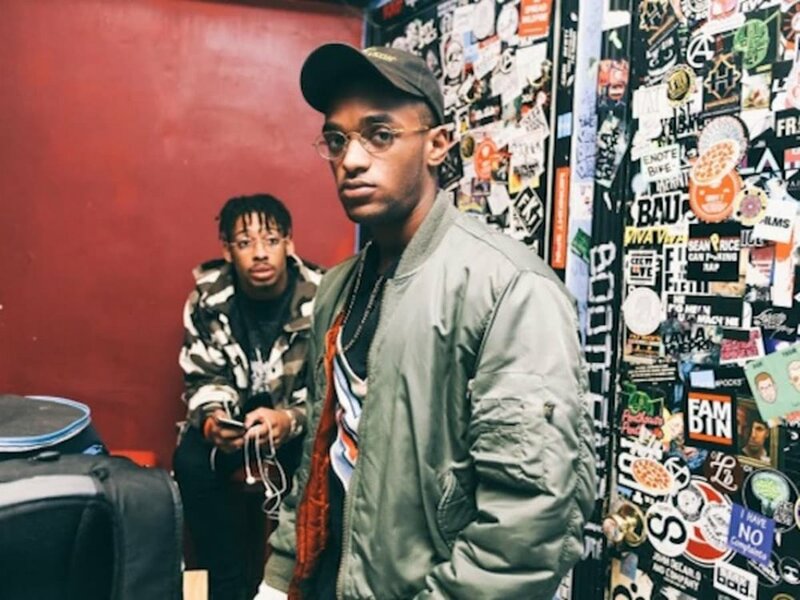 Stizz is currently preparing to go on his One Night Only tour with the very last show of the tour being held at the House of Blues in Boston. This show has been hyped up by Stizz himself because to him, it is going to be very special performing in front of his hometown. 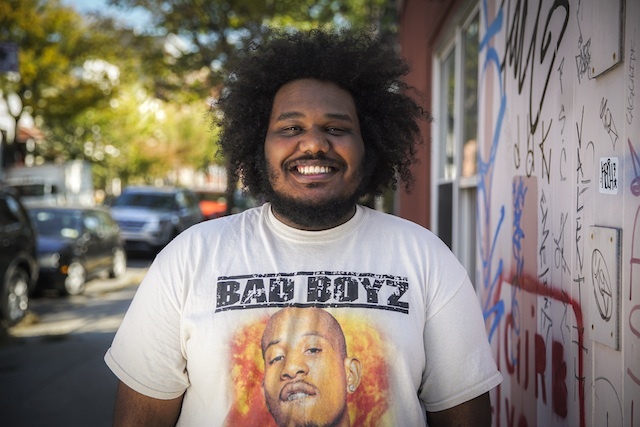 One of the most loveable artists out today is Michael Christmas. His music has this happy feel to it, almost like Chance the Rapper. Some of the songs you should check out by Mr. Christmas are Top Turnbuckle ft. OG Swaggerdick, Don’t Talk About It ft. DRAM, Bubbling, Get Up, and Intercontinental Champion. Christmas’ music can give whoever listens to it a jolt of positivity kind of in the same way a Lil Yachty track does. Christmas shares some of the same qualities as Yachty does. He appeals to the youth and his tracks are relatable to some high school/college students. He is a loveable rapper who brings out good vibes. You may have heard of Big Leano if you listened to Stizz’s recent album as he appears on the song The Store. But if you haven’t heard of him then what are you waiting for? Leano has a slower flow to him but it goes along with the beat and creates a certain vibe. Tales From The Mud is probably his best work. I highly recommend listening to Resume, Lean For Sale, Don’t Judge Me, and Woody. His lyricism in these songs makes you wonder why you didn’t find out about him sooner as they tell tales of his life. Leano isn’t one of these “mumble rappers” you hear about these days, he is much better than that but rather he tells a story in his music which is something a lot of rappers today don’t do. Leano just released a song called Broke that is going to be on his upcoming project and if you live in Boston or know about the former mayor, then a line in this song will leave your jaw dropped. Out of all the rappers on this list it seems like Jefe Replay has the biggest cult following. His motto: Ain’t Sh*t Free has sparked a new wave of fans for him. His line of clothing, Ask for Juan, has some very cool merchandise and not to mention the logo is an unreal play on the old Utah Jazz logo. Jefe Replay was featured in the song Talk and his line in that song really makes you see the potential in him. He virtually aces every flow and he sounds like a mix of Kendrick Lamar and Wiz Khalifa. He also has a song titled Ain’t Sh*t Free which a perfect song for a summer party or if you’re just chilling and want a nice flow. He is one of the lesser known Boston area rappers but if you are from the area and have heard of Plad then you’ll know he has this untapped potential. His song The Wave has a lot of hits on SoundCloud and Apple Music which gave him a boost in popularity among Boston teens. The good thing about the Boston area is everyone is friends with everyone and there seems to be no competition. It is kind of like how Atlanta area rappers put their affiliates works out there so this means Plad will benefit from being associated with guys like Jefe Replay and Big Leano. He is a hidden talent for sure. He is certainly a unique rapper and he is one of the best lyricist in Boston currently. Millyz creates this Eminem type vibe to him and his music reminds you of a young Logic. His flow is very fast and to the point too. He often doesn’t lose track of it and can switch it up beautifully. He is also one of the better storytellers in Boston and also has a Jadakiss feature along with performing with Dave East at one of his shows in the city. If you’re a fan of Cardi B or just female rap in general then you’ll love Vintage Lee. Her take no nonsense attitude is evident in her songs as she goes in on every track and she is one of the hidden talents Boston has. Surprisingly, her song Hennythings Possible made it onto the NBA 2K18 soundtrack. I am surprised by this because I didn’t think people knew her like that but I am also proud to here a Boston rapper, especially one who isn’t well known, on a major game soundtrack. Check out some of her work on her Soundcloud and she will make you a believer. His hair will make you think he resembles Lil Yachty but he is certainly a different breed of rap. Pistola has a calm flow to him but it is still a good flow regardless. If anyone has listened to SahBabii then they should appreciate Pistola. Some of his songs to check out are Jokes on You, Swang REMIX, and Playa. Give each song a close listen and you’ll how good he is. you likely remember at the very least hearing about the Tupac vs. Biggie Smalls rap beef. If you’re a hip-hop fan and grew up in the early 90’s you likely also remember conflicts like Ice Cube vs. Eazy E and the rest of NWA. If you’re from the late 90’s/early 2000’s you witnessed the end of true rap beef. That’s right, the end of true rap beef. However, before we can talk about the end, we need to explore the beginning. See, the whole concept actually stemmed from something a lot more simple, competition. The seed for what we know today was planted in the early 1970’s in the Bronx. When breakdancing and other forms were brought out to the streets, people flocked and joined in on the fad. As it became more common and some perfected their craft, others decided to challenge and hold “break-offs” and almost immediately the concept of being the best was one that a lot of people focused on. Street blocks, warehouses, basements, etc. would be cleared out, then filled with spectators to witness these competitors show their prowess head to head. Everybody wanted to be known as the best for the sheer respect and boost of pride that comes with any top spot. Now, if you have ever seen the movie Juice, then you already know about the second chapter in the timeline; the magic behind the music. DJs (Disc Jockeys) quickly gained the spotlight and competitions were held often. Here is where the top local DJ’s would duke it out head to head for an allotted amount of time to see who was the best. With this title came respect, attention, and opportunity. Just as before, everybody wanted it. It was around this time that more attention was being paid to these competitions. Radio shows and hosts were getting involved (even hosting) and rewarding the top prize winner some air time or cash prizes. These things could launch a young aspiring DJ’s career, even more reason for everybody to fight to be considered the best. Along with this new motivation and more intense competition came friction, and the top spot became something a little more personal. When hip-hop was ready for something new is when the focal went to vocal and MCs (emcee, Master of Ceremonies, Microphone Checker, etc.) took the stage. This is when hip-hop became verbal and people were able to express themselves directly using their own words and opinions to gather fans and support. Artists like Grandmaster Flash, Run D.M.C., Sugarhill Gang; were all some of the earliest and most positive to run the game. Using their spotlight, these and other early artists used hip-hop to reach their audiences and show the everyday trials in inner-city life, as well as uplift their common man with upbeat songs with catchy choruses and tempos. Now don’t be fooled, even artists like MC Hammer had their own beefs, but few as serious as the later years to come. Hip-hop quickly became rap and then even quicker became gangster rap at the end of the 80’s, and beginning of the 90’s with artists like Ice T, Public Enemy, NWA, Ice Cube, Big L. Nas, and more hitting the surface and the charts quicker than ever. These artists and many more brought the initial rough, rugged, hostile and dangerous act to the hollywood surface; and with exposure like that, there will always be people who want to try you and ruin if not take what you have built for yourself. A very popular example of early rap beef is seen in the movie Straight Outta Compton soon after Ice Cube parts ways with his group NWA over a disagreement and miscommunication with his label manager and group about royalties. Cube left the group and began releasing solo records. The crew didn’t appreciate that and thus added a few lines on their EP “100 Miles and Runnin’” where Dre has some direct yet vague lines in a song. Both parties released a few songs targeted at each other one specifically where Ice Cube is called a benedict arnold among many other things and is actually called out by his birth name “Oshea.” Cube then responded by releasing the song “No Vaseline” which had direct references to the group as well as verbal battery and low blows. This was a direct shot at the group and the direction they were headed which is why he left originally. Skip a few years ahead and we stand in the middle of one of the most devastating feuds to ever hit music; The Notorious B.I.G. vs. Tupac Shakur. Unfortunately, What began as a close friendship left us in a musical hiatus without two of the best rappers to ever touch a microphone. When Tupac was shot in a recording studio in New York with Biggie present, he assumed he had involvement and the beef began. Tupac then did time in prison and released the legendary diss track “Hit Em Up” aimed directly at Biggie and his affiliates when he got out. The Notorious returned with the track “Who Shot Ya” and the debate was on, who was better? As we know, the beef ends with both rappers being shot and killed, a tragic end for two of the 90’s biggest stars. Now we have to look closer at what it was that really caused all this tension to lead to not only threats of harm, but actual acts carried out upon the other. See, hip-hop was still budding back then as it will forever be, however, big industry was just getting their hands on it. This led to the #1 spot being more rewarding on scales larger than life itself. Making it in the rap game at this point was a rat race, everyone was representing their home cities and fighting to climb the charts. At this point, rap was honest. Many rappers actually led the life they proposed in their lyrics and were ready to back their words up at any minute. One of, if not the best to ever touch a mic, Big L, led the life he rapped about through and through, he emerged as a great and was shot in an anonymous drive-by shooting which remained a mystery until months later when a childhood friend was arrested for the crime, then later shot and killed. The fact remains, in the 90’s, rap was young, and it was about the streets, it was about who was the hardest, and it was competitive if you wanted to stay relevant and alive. As it aged in the coming years it became not only about gang affiliation but now about drugs and dealing. This brought a whole new world into the rap game which harbored fresh new hostility and jealousy. Soon after the tragic deaths of Tupac and Biggie, rap kept beef very much alive through new artists and for new reasons. 50 Cent was a big target during his rise due to his massive popularity with hit singles as well as chart topping albums. Not only was he succeeding on a massive scale in the rap game but he was doing it talking about the rough and rugged life he lived every day growing up in South Jamaica,New York. 50 Cent had plenty of conflicts with plenty of people in not only his everyday life growing up, but in his music career. One of his most infamous was with Ja-Rule which started over Ja getting his chain snatched by a friend of 50. Though 50 wasn’t involved the affiliation was enough for Ja Rule to start conflict, the two we reported to have fought on more than one occasion and name called on numerous tracks each. However, 50 Cent also had beef with Fat Joe, Killa Cam, Nas, Rick Ross, Jadakiss, and more less mentionable issues. Bottom line, rap was a breeding ground for hostility, competition, and multiple people willing to do whatever it takes to get their names out there as the best. Fast-forward to today, that’s exactly what it has become. The main goal of almost any artist in the mainstream media today is not to make the best music and be crowned rightfully as #1, they want to get their names out into the widespread media by any means necessary. It is now so easy as an artist to top charts at seemingly any given moment with any given single if it’s promoted and produced well enough. My best recent example at hand would obviously be Drake vs. Meek Mill. What a devastating and disappointing new age global rap feud. This issue began over Drake not shouting out Meek’s new album, leading Mr. Mill to put Drake on blast for not writing his own music, leading to a diss track from the canadian born superstar. Charged Up hit Meek in a few areas but was overall not very direct and not too huge of a shot to the Philadelphia rapper. Meek responded verbally during one of Nicki Minaj’s shows on her tour that was happening at the time. Without waiting for a real response track Drake released “Back to Back” which was much more direct and finished the beef officially for many spectators. Meek brought back the beef here and there in his 4/4 EP but made no moves that would consider him a gladiator by the end of that one. So why do we see so many here and there tiny beefs that seem to headline monday and sizzle out by thursday without any real outcome? Headlines, headlines headlines. If you haven’t said it out loud by now do it now, HEADLINES. No rap beef that gets publicized today will have any serious tension or outcome. There will be no shootouts, no studio drivebys, there will be no club brawls, for gangster rap is no more. Now don’t be mistaken, I’m not saying it doesn’t still happen, rap beef is very much alive in the local scene and people still die daily over issues stemming from this craft. However, on the television the most we’ll see is beef similar to Remy Ma and Nicki Minaj, a current icon and someone on the come up or coming back taking shots at one another until both have enough sales percentage increase and it fizzles out. Rap beef has been dead for some years, some say it died with the Jay-Z vs. Nas conflict, some say with the 50 vs. Ja Rule and others. One thing is for certain, in today’s music industry of one-hit wonders and comeback singles, there will be no genuine, long-lasting beef any time soon, and for the better. I for one welcome an era of hip-hop where we don’t need to worry about our favorite artists getting gunned down in their prime. With standards of lyrical content getting presumably lower it’s safe to assume new-age diss tracks will contain less punchlines and luster but harbor the competitive energy necessary to keep the altercation exciting and on our timelines for months to come. and with that being said it is time once again to take a look at the XXL freshman class over the years. I’ve said it before and I will say it again, making the XXL freshman class is a true honor and can really propel an artist's career. Starting back in 2007, the XXL freshman class has seen the likes of J Cole, Kendrick Lamar, Future, and Chance the Rapper. Those are some of the greatest rappers today and this year new up and comers look to make their names heard. Let’s examine each class and determine who was the best rapper out of each class. Not a lot of people remember the very first XXL freshman class but it included some well known names including Piles, Lil Boosie, and Gorilla Zoe. The one guy who remained constant throughout the years was Lupe Fiasco. Lupe most recently released an album named “DROGAS Light” and while it wasn’t one of the best Lupe albums, it certainly was better than what most of the other guys in this class put out. “Lasers” out does a lot of what these other guys did as well. "Lasers" is legendary with songs like “Words I Never Said”, “Letting Go” and of course the most famous song “The Show Goes On”. Lupe’s lyrics on that album are pure fire and they touch on a lot of deep stuff. Lupe has remained successful over the course of ten years without falling off but today you don’t really hear from any of the other rappers that made the 2007 class. This was a hard decision because the runner ups were Wale and Ace Hood but Kid Cudi beats them out as the best rapper from the 2009 class. B.O.B made this class as well but he hasn’t really put out anything good since around 2013. Wale is a really good rapper but isn’t a better lyricist than Cudi. Ace Hood is also a very talented lyricist but also hasn’t put out any well known albums in a few years. Cudi dropped his long awaited album “Passion, Pain & Demon Slaying” last year and it was a hit. Of course, he also has his classic throwbacks like “Pursuit of Happiness” and “Day and Night” which are some of the best songs of the last decade. Cudi’s features are also better than most of this class features as well and his career is well chronicled in his music. With no disrespect to Wiz Khalifa and Big Sean, J. Cole was the best freshman from this class by far. Don’t get me wrong, I’m a fan of both Wiz and Sean but we consider J. Cole to be one of the best rappers of all time and it is with good reason. Whenever he puts out an album it is automatically a classic. His bars are about wisdom and everything that goes on in a person’s mind is manifested into lyrics that prove J. Cole is one of the best lyricists ever. All of his albums are certified platinum which even furthers the fact that Cole is one of the best rappers we have ever seen. This was an easy pick. This freshman class actually had some well known names and for the most part was a pretty stacked class. Meek Mill, Mac Miller, YG, Lil B, and Big K.R.I.T are just a few names on this class but the crown goes to Kendrick Lamar for pretty obvious reasons. Kung Fu Kenny has been called the 2Pac of this generation and when you have that comparison, you know you will become of the best all time. His albums are all better than pretty much the entire classes discography and that point was further proven with the release of “DAMN” this year. Again, no disrespect to anyone in this class but K-Dot is by far the best rapper to come out of the 2011 class. Now there weren’t many good lyricists in this class but that doesn’t matter because most rappers made absolute bangers. Every album Future creates is mostly bangers galore. I can’t even begin to describe how I felt when I first heard classics like “Mask Off”, “Thought It Was A Drought”, or “Jumpman”. You just know off the bat these songs are bangers and will be classics for years to come. What separates Future from the rest of the rappers in this class was his ability to make an R&B album while also making trap music. “HNDRXX” was an absolute classic, honestly it was one of the best albums to come out this year. It was a side of Future we haven’t seen before but wouldn’t mind getting again. Future will go down in history as one of the best rappers of this generation. This was a tough choice because the 2013 class was the most stacked class ever. Along with Travis Scott, Logic, Schoolboy Q, Chief Keef, Ab-Soul, and Action Bronson. The decision to go with Travis Scott was because he has the most mainstream success and is one of the hottest rappers out right now. His albums have developed cult like followings based on the sales and fans often have a different type of attitude when Travis is in the house. “Birds in the Trap Sing McKnight” was one of the best albums of last year with hits such as “goosebumps” “through the late night”, and “biebs in the trap”. There is no doubt in anyone’s mind that Travis Scott’s momentum will ride on with no end in sight. Another class where the best rapper is pretty obvious, Chance the Rapper was the best rapper of 2016. He basically owned 2016 and that is surprising considering he was going up against some good competition for album of the year at the Grammys. The fans can get behind Chance because one, his mixtapes are legendary and two, he just has a natural connection with his fanbase. The fact that Chance accomplished so much without being signed speaks volume to the type of artist he is. Coloring Book had hits like “Mixtape”, “Juke Jam”, “No Problem”, and “Smoke Break." Overall, that album outdoes whatever work anyone from this class has put out. Chance keeps rising to legendary status and he won’t stop until he is considered the greatest rapper of all time. The 2015 edition of the XXL freshman was probably the weakest of all time. I’m not even going to consider Fetty Wap being the best because his music is just weak. You can barely understand anything he is saying and his beats make all his songs better. This was proven in the freshman cypher and freestyles where you literally cannot understand a word he’s saying. Shy Glizzy was the best freshman out of this class because his music is more complete than others. He has the best flow and the way it perfectly goes with his beats. “Young Jefe” was a great album and the same goes for “Law 3”. I would like to see Glizzy get more in the mainstream because he is a severely underrated rapper. Now when you take a look at this class, the talent may not be all there but this is one of the most revolutionary classes in history. Really all of the artists who were a part of this class went on to find more success than expected. This class really elevated all the rappers to superstardom. Lil Yachty, 21 Savage, Desiigner, G Herbo, Kodak Black, and Dave East all thrived off being included in the class and basically all of them went on to collab with some of the hottest names in hip hop which in turn made THEM some of the hottest rappers in hip hop. But the one who stood out the most was Lil Uzi Vert. His different approach to rap propelled him to rock star levels of stardom. His fans are some of the most rowdiest in rap and his music has a different flow to it that is both likeable and vibe worthy. XO Tour Llif3 has quickly become a hot track and it’s still climbing the charts. Lil Uzi Vert is really a special talent out of a very special class. Who will be the best rapper of the 2017 class? We will just have to wait and see!